Thank you very much for your review and for selecting me to do your patio. Thank you very much for trusting me to do your project, I really appreciate you taking your time to write me a review. Thank you so much for your kind words. We are so happy that you are loving your new patio! We look forward to any future jobs you may have. We are thrilled that you love your new patio! It was a pleasure working with you and we look forward to any future jobs you may have! Elder was very easy to work with and had great input about our project. He was very patient with our long lead time and with our HOA’s strict guidelines. Thank you so much for the kind words. We enjoyed working with you and look forward to any future jobs you may have. We are so happy that you love your patio. It was a pleasure working with you and look forward to any future jobs you may have. 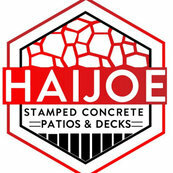 We are so glad that you are enjoying your patio! We look forward to any future projects you may have.